IoT Impact is the primary IoT (Internet of Things) event for 2018. It is supported by IoTAA (IoT Alliance Australia) and is being held in Sydney at UTS from 10 – 11 September. We will be exhibiting. You can register with our discount code to get a discount on the conference part of the show. The exhibition is free but you need to register. You can register at IoT registration and use discount code IOTsuccessful-C1. And some extra news, we are also finalists for the IoT Impact Awards in 2 categories: Enablement in IoT and Innovation in IoT. 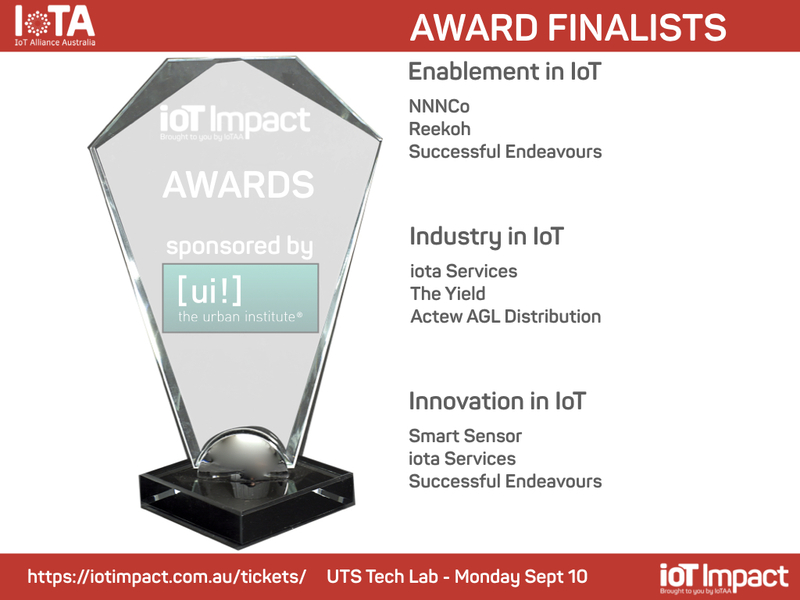 The winners are announced at the IoT Impact cocktail reception which is held at the UTS Tech Lab which will also coincide with the opening. For the exhibition we will be showing 2 custom IoT devices. The first is the arcHUB Smart Cities Sensor device and the second is a 15 year battery life NB-IoT water meter. This entry was posted in Innovation, Internet of Things, News, Technology and tagged Internet of Things, IoT, IoT Impact, IoT Impact 2018, IoT Impact Awards, IoTAA by Ray Keefe. Bookmark the permalink.